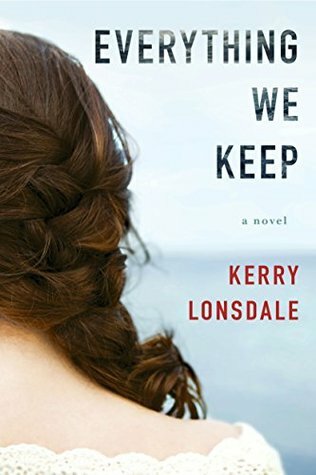 A luminous debut with unexpected twists, Everything We Keep explores the devastation of loss, the euphoria of finding love again, and the pulse-racing repercussions of discovering the truth about the ones we hold dear and the lengths they will go to protect us. Sous chef Aimee Tierney has the perfect recipe for the perfect life: marry her childhood sweetheart, raise a famil A luminous debut with unexpected twists, Everything We Keep explores the devastation of loss, the euphoria of finding love again, and the pulse-racing repercussions of discovering the truth about the ones we hold dear and the lengths they will go to protect us. Sous chef Aimee Tierney has the perfect recipe for the perfect life: marry her childhood sweetheart, raise a family, and buy out her parents’ restaurant. But when her fiancé, James Donato, vanishes in a boating accident, her well-baked future is swept out to sea. Instead of walking down the aisle on their wedding day, Aimee is at James’s funeral—a funeral that leaves her more unsettled than at peace. As Aimee struggles to reconstruct her life, she delves deeper into James’s disappearance. What she uncovers is an ocean of secrets that make her question everything about the life they built together. And just below the surface is a truth that may set Aimee free…or shatter her forever.